Valentine's day is defined by sweets. They are everywhere! 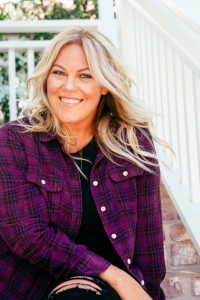 But there's no reason that you can't still enjoy the traditions of the day while staying Keto. Today, I used these cute cookie cutters to make adorable heart shaped cookie bites. I took three different flavors of Nui's amazing Keto Cookies and cut them into heart shapes. This way, I can enjoy some sweets through out my day with out throwing off my macros. Plus they are really cute and festive. I never feel like I'm missing out on the sweet things in life because Nui has me covered. Nui has four regular flavors. Peanut Butter, Chocolate Chip, Snickerdoodle, and Double Chocolate. All of them are amazing. I love cinnamon so I might choose the Snickerdoodle as an overall favorite, but really you can’t go wrong. They also have some amazing seasonal flavors. Right now, their winter seasonal flavor Ginger Something is 20% off. Get them before they run out by using the code KETOINTHECITY20. *This code only works for the Ginger Something Cookies! If you are looking to buy the other flavors, scroll down. Nui Cookies) never let me down. Their consistency and commitment to making the best Keto Cookies is what brings me back. 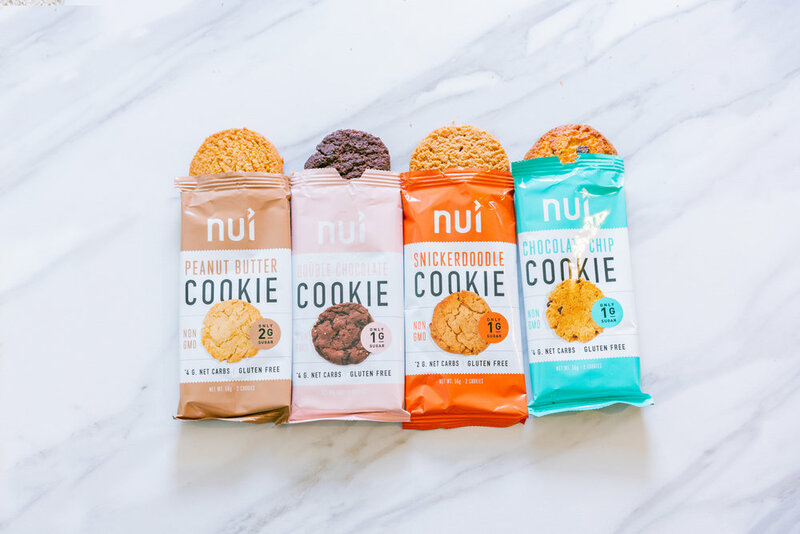 All of the ingredients in Nui cookies are clean and Keto Friendly. They use a combination of almond and coconut flour which keeps the carbs low and also gives the cookies 6g of protein per serving. They sweeten the cookies only with erythritol, a natural sweetener, and monk fruit extract. The cookies only have 4g of net carbs per serving. And a serving is two cookies!!! I really love how cute these little heart shaped bites turned out! I think next time I might dip them in some Keto Whipped Cream or dip them in Keto Chocolate Genache made from Choc Zero Chocolate.